From Dallas to San Miguel de Allende, México, Nancy Martínez has earned an international reputation as a sophisticated businesswoman and genuine friend. A long-time high-rise resident, Nancy can share her experienced views on the high-rise lifestyle and conscientiously guide buyers through the intricacies of purchasing a high-rise home. Both high-rise sellers and buyers have benefited from Nancy’s proprietary, building-specific pricing analyses. Nancy grew up in Preston Hollow and knows Dallas and Dallas real estate thoroughly. She also knows her clients, giving each individual attention and spending the time to understand their unique needs and goals, even finding the perfect property for some buyers before it reached the market. Nancy is respected for her savvy negotiating skills and razor-sharp attention to detail that helps ensure that every home purchase goes smoothly. Consistently a top producer, Nancy was named senior executive associate in recognition of her professionalism and significant contributions to the real estate community. Read the very appreciative buyer testimonials and seller testimonials that Nancy has received. As an Accredited Buyer Representative, Ms. Martinez has met strict educational and practical requirements set by the Real Estate Buyer's Agent Council. By completing the 100 hours of intensive coursework required to receive her Graduate Realtor Institute designation, Nancy has enhanced her real estate knowledge and demonstrated her dedication to providing the highest quality service to her clients. Nancy's National Association of Realtors Green Designation is the only environmental real estate designation addressing multiple specialties. Nancy attended Hillcrest High School, studied in Spain, and received a bachelor’s degree in Spanish, with a business minor, from Southern Methodist University. A career in retail ultimately led her to the trusted position of executive recruiter for Neiman-Marcus. After 23 years in Mexico, including her beloved San Miguel de Allende where she was a respected and active member of the community, and traveling the world, she returned to Dallas to dedicate herself as a full-time real estate agent. 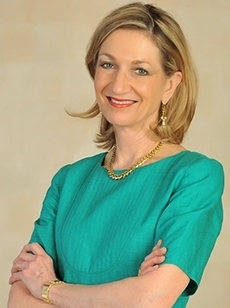 She has served on the Advisory Board of the Archives of Women of the Southwest at the DeGolyer Library at Southern Methodist University and on the Board of Governors of the Park City Club.